The Daebak Korean ramen is now in Malaysia. In January 2018, Mamee-Double Decker (M) Sdn. Bhd first publicized its new Daebak ramen instant noodle in Seoul at a press conference on the company’s involvement in the 2018 Winter Olympics’ halal kitchen. 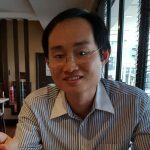 Back then, Mamee Director of Corporate Strategy and Finance Vuitton Pang Hee Cheah said the new noodle would be officially launched in Malaysia in April 2018 with a soft launch in March 2018. Deabak (대박) means ‘awesome’ or ‘the best’. The day has finally come for Daebak to meet Malaysian consumers. This made-in Malaysia Korean ramen is now available at selected retailers in the country. 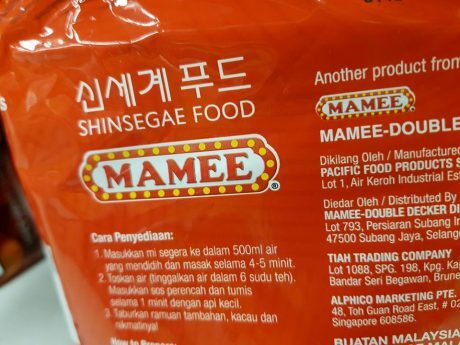 As a product of the Shinsegae-Mamee joint venture, Daebak is priced at a premium at RM 19.93 for a 4x147g pack of Spicy Kimchi soup noodle and RM 19.93 for a 4x159g pack of Spicy Fried Chicken dry noodle. Both halal-certified products are made in Malaysia by Pacific Food Products Sdn Bhd at the Ayeh Keroh factory in Malacca. Daebak will be exported to Singapore and Brunei as well. Daebak is priced at the middle range of the RM 25 to RM 56/KG premium price fetched by imported Korean instant noodles in the country. Each pack of Daebak weighs between 147g and 159g, making it the largest pack size among all Korean instant noodles. The usual size of an imported Korean instant noodle is 120g for a single pack with a few weighing between 130g and 145g. 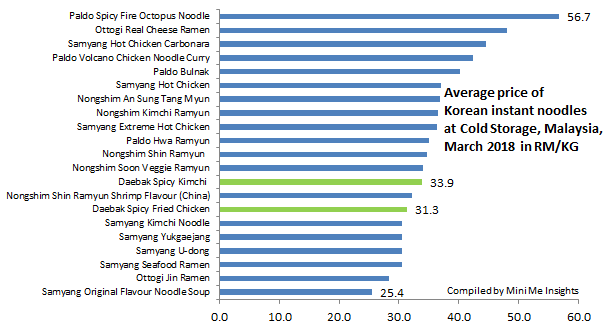 However, Deabak only has four pieces of noodles compared with five for most of the imported Korean counterparts. As Daebak is huge, the large size makes it hard to display or retrieve from the narrow rack, potentially resulting in product damage when forcefully removed as was the case at Cold Storage. 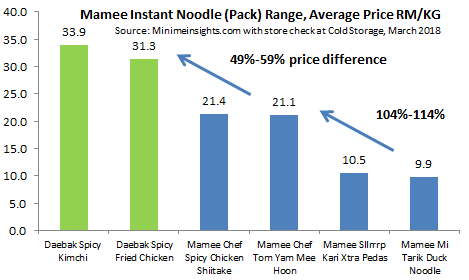 With Daebak through the joint venture with Korea’s Shinsegae, Mamee has successfully premiumised its noodle portfolio on par with imported Korean noodles, thus giving the company a pie of the lucrative business. 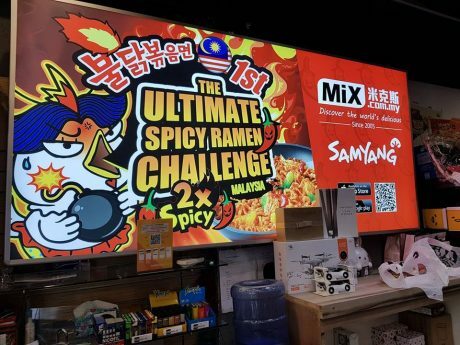 In recent years, Malaysian instant noodle eaters such as millennial who are adventurous and less brand loyal, are upgrading to better quality noodles. Instead of eating more, they are willing to pay a higher price to eat less but higher quality noodles to satisfy their craving and curiosity. South Korean instant noodles meet the criteria. Information about the latest imported noodles is obtained mainly from social media and through word of mouth. 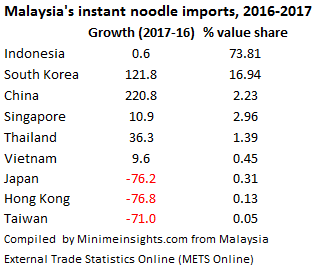 Indonesian instant noodles continue to dominate the import scene but are fast losing share to other countries (eg South Korea, China and Thailand) as they are now seen as unexciting. Imported Korean instant noodles take up a sizable shelf space in modern retailers. They are also the star highlights at specialty retailers such as MiX, which has over 10 outlets in the Klang Valley, Ipoh and Penang serving mainly ethnic Chinese shoppers. In fact, Mamee’s kimchi noodle has always been around but not in Malaysia. 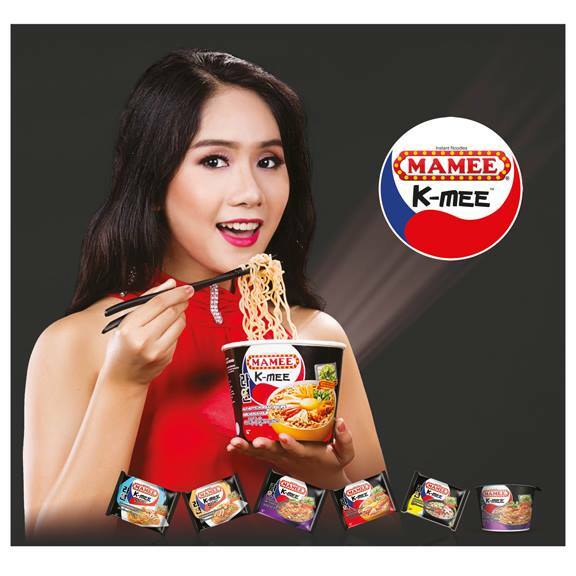 The K-Mee Kimchi flavour – pack (70g) and cup is available in Myanmar for several years now. We have seen the recent move by Maggi in Malaysia to offer insanely spicy noodle, the Maggi Pedas Giler!! with a local price but with an extremely spicy experience to counter Samyang’s spicy ramen. In Indonesia, Pop Mie Pedes Dower is taking this route as well. Now, the new Daebak draws upon Shinsegae, the Korean joint venture partner’s heritage, to move into the super premium imported Korean instant noodle segment. 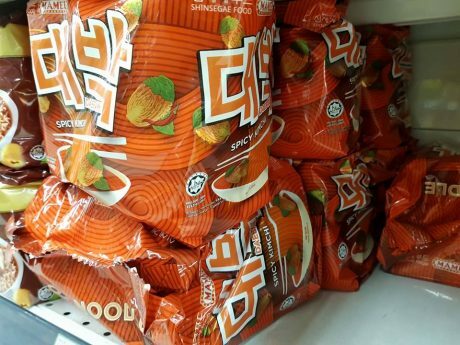 Deabak will also play in the spicy segment since its products are spicy kimchi and spicy fried chicken. 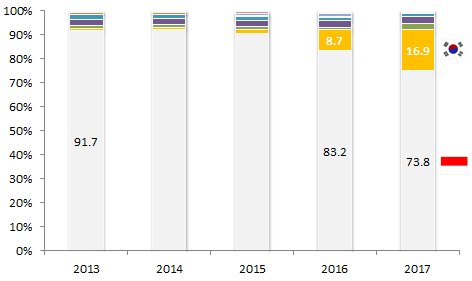 Both approaches are aimed at shoring up the competitiveness of the local players in face of strong competition from foreign players and to boost interest in a category that is seeing a decline in consumption.